Ioannis Asimakopoulos is a Research Fellow at the Brexit Research and Policy Institute at the Dublin City University. He is writing his Ph.D. at the Faculty of Law, Economics and Finance of the University of Luxembourg. His thesis focuses on bank resolution and retail investor protection. He holds an MSc in International Economics and Finance from the Athens University of Economics and Business, and a Master in Corporate Law (MCL) from the University of Cambridge, Christ’s College. He is a registered lawyer with the Athens Bar Association and has worked with the EU delegation in Geneva, the Court of Justice in Luxembourg, and an international law firm in Athens, Greece. 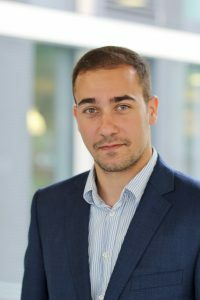 Ioannis has taught at the Cambridge Summer Institute and the University of Luxembourg, and is interested in the field of financial regulation, with a particular focus on bank resolution, investor protection, and digital currencies.